Explanation: It's the dim star, not the bright one, near the center of NGC 3132 that created this odd but beautiful planetary nebula. 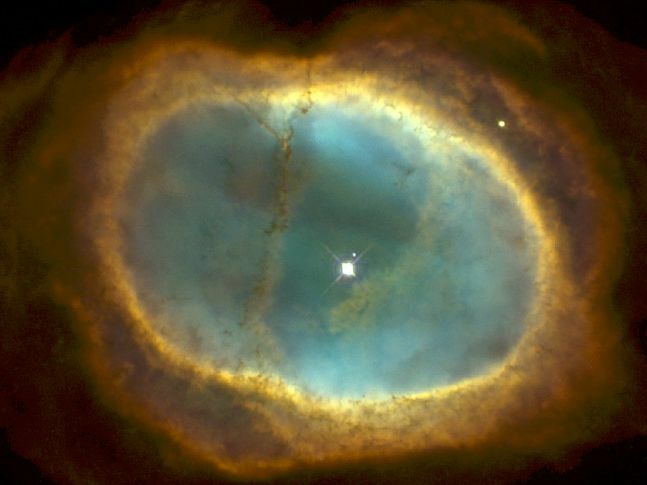 Nicknamed the Eight-Burst Nebula and the Southern Ring Nebula, the glowing gas originated in the outer layers of a star like our Sun. 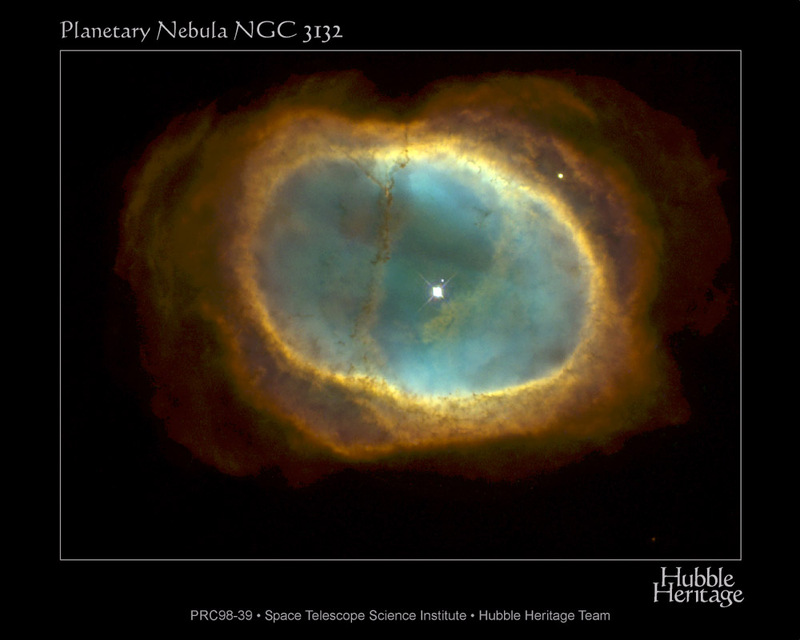 In this representative color picture, the hot blue pool of light seen surrounding this binary system is energized by the hot surface of the faint star. Although photographed to explore unusual symmetries, it's the asymmetries that help make this planetary nebula so intriguing. Neither the unusual shape of the surrounding cooler shell nor the structure and placements of the cool filamentary dust lanes running across NGC 3132 are well understood.